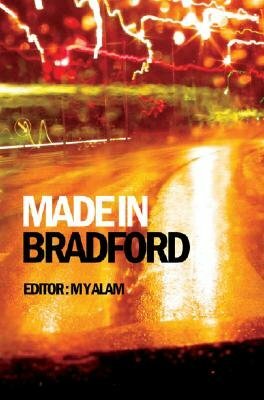 The aftermath of the Bradford Riots in 2001 and subsequent reports on how the city is constructed, provoked novelist and academic M Y Alam into generating a report of his own. As part of the research process, he spent time interviewing British Pakistani men and gathered their views on issues which are generally prone to misrepresentation elsewhere. Over a period of time, these sessions became much more than the usual researcher and research subject kind of relationship. In some cases, they developed into full blown conversations amongst friends. "Made In Bradford" compiles a series of transcripts from those conversations and paints a vivid picture of everyday life that reads almost as a counter-narrative to the prevailing direction of current debates. Here, men talk about issues such as forced marriage, drugs and criminality, employment, racism, political representation, the fall out from the London bombings, faith and freedom, along with the notion of home and belonging. The openness within the texts is a refreshing antidote to the recent, more widespread and shameful stigmatisation of a people within our own communities. "Made In Bradford" is an important book of its time.